How to Cite This Chapter: Jolly SS, Mulloy A, Budaj A, Bednarz B, Leśniak W. ST-Segment Elevation Myocardial Infarction. McMaster Textbook of Internal Medicine. Kraków: Medycyna Praktyczna. https://empendium.com/mcmtextbook/chapter/B31.II.2.5.3.2 Accessed April 19, 2019. ST-segment elevation myocardial infarction (STEMI) most often occurs in the early morning hours. Some patients die before reaching hospital, mainly due to ventricular fibrillation. In ~10% of cases, symptoms are minor and the diagnosis is established only after a few days, weeks, or even months, on the basis of electrocardiography (ECG) and imaging studies. 1. Symptoms: Chest pain, epigastric pain, nausea, vomiting, dyspnea, syncope, or palpitations. 1) Skin pallor and sweating are usually associated with severe pain. Peripheral cyanosis is present in patients developing cardiogenic shock. 2) Tachycardia (most frequently >100 beats/min; heart rates decrease with relief of pain), arrhythmia (most frequently premature ventricular complexes), bradycardia (in 10% of patients, frequent in inferior wall myocardial infarction [MI]). 3) Abnormal heart sounds: Gallop sounds, frequently a transient systolic murmur caused by a dysfunctional ischemic papillary muscle (more frequently in inferior wall MI) or left ventricular (LV) dilation. A sudden-onset, loud apical systolic murmur accompanied by a thrill, most frequently caused by papillary muscle rupture (usually accompanied by symptoms of shock); a similar murmur, though most prominent along the left sternal border, occurs in ventricular septal rupture. Pericardial friction rub in large MI (usually on day 2 or 3). 4) Rales are audible over the lungs in patients with LV failure. 5) Symptoms of right ventricular failure, including hypotension and jugular venous distention, in right ventricular MI (it may accompany inferior wall MI). a) >0.1 mV in all leads other than leads V2 to V3. b) For leads V2 to V3, the following cutoff points apply: ≥0.2 mV in men aged ≥40 years, ≥0.25 mV in men aged <40 years, or ≥0.15 mV in women. 2) New-onset left bundle branch block (LBBB) on its own is no longer considered specific for STEMI. Acute MI is suggested in patients with LBBB and an ST-segment elevation ≥1 mm that is in the same direction (concordant) as the QRS complex in any lead or an ST-segment depression of ≥1 mm in any lead from V1 to V3, or an ST-segment elevation ≥5 mm that is discordant with the QRS complex; MI may be also suspected if there is a QS complex in leads V1 to V4 and a Q wave in leads V5 and V6. 3) Typical evolution of ECG changes lasts several hours to several days. The initial appearance of tall, peaked T waves is followed by a convex or horizontal ST-segment elevation (see Standard Electrocardiogram). Then pathologic Q waves with reduced R waves appear (Q waves may be absent in patients with a small MI or those undergoing reperfusion therapy), the ST segment returns to the isoelectric line, and the amplitudes of R waves decrease further. Q waves become deeper, and inverse T waves appear. The probable location of MI based on the ECG changes: Table 1. 1) Cardiac-specific troponin T (cTnT) levels 10 to 14 ng/L (depending on the assay), cardiac-specific troponin I (cTnI) levels 9 to 70 ng/L (depending on the assay). 2) Creatine kinase MB (CK-MB) concentration (CK-MBmass) >5 to 10 microg/L (depending on the assay); this is used only when cTn measurements are not available. 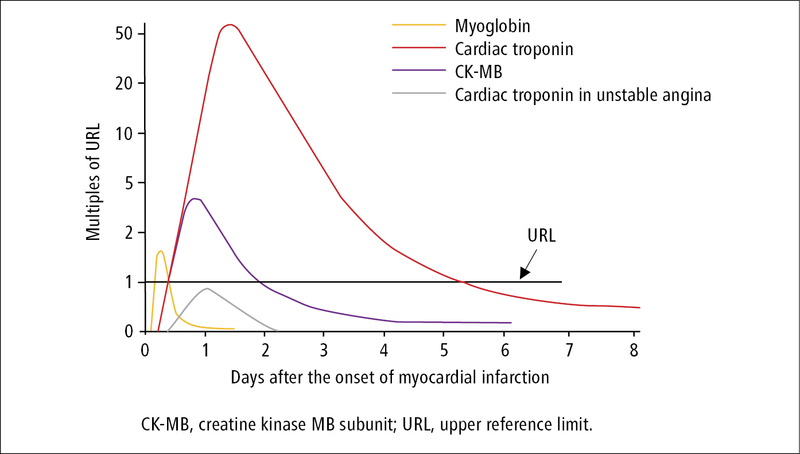 3) CK-MB activity and myoglobin concentrations are no longer used in the diagnostic workup of MI. 3. Chest radiographs may reveal signs of other diseases that may have caused angina, or features of heart failure. 4. Resting echocardiography may reveal regional wall-motion abnormalities or other etiologies of chest pain, such as valvular heart disease including aortic stenosis or hypertrophic cardiomyopathy. 5. Rapid coronary angiography reveals lesions located in the coronary arteries that are responsible for STEMI (usually arterial occlusion) and allows reperfusion (percutaneous coronary intervention [PCI]).Evidence 1Strong recommendation (benefits clearly outweigh downsides; right action for all or almost all patients). High Quality of Evidence (high confidence that we know true effects of intervention). Keeley EC, Boura JA, Grines CL. Primary angioplasty versus intravenous thrombolytic therapy for acute myocardial infarction: a quantitative review of 23 randomised trials. Lancet. 2003 Jan 4;361(9351):13-20. Review. PubMed PMID: 12517460. In patients presenting with acute chest pain, the differential diagnosis includes—but is not limited to—aortic dissection, pulmonary embolism, myopericarditis, or musculoskeletal chest pain (Table 2). 1. Acetylsalicylic acid (ASA) 160 mg to chew should be administered by emergency personnel to every patient with suspected MI, unless there are contraindications or the patient has previously taken ASA on his or her own. 2. Prehospital ECG: If the prehospital ECG confirms the diagnosis of STEMI, when possible and practical, these patients should be brought to a center capable of primary PCI as long as the time from contact to PCI is <120 minutes.Evidence 2Strong recommendation (benefits clearly outweigh downsides; right action for all or almost all patients). High Quality of Evidence (high confidence that we know true effects of intervention). Boersma E; Primary Coronary Angioplasty vs. Thrombolysis Group. Does time matter? A pooled analysis of randomized clinical trials comparing primary percutaneous coronary intervention and in-hospital fibrinolysis in acute myocardial infarction patients. Eur Heart J. 2006 Apr;27(7):779-88. Epub 2006 Mar 2. PubMed PMID: 16513663. 3. In areas where timely primary PCI is not available, prehospital fibrinolysis may be considered if possible within the existing systems of care.Evidence 3Weak recommendation (benefits likely outweigh downsides, but the balance is close or uncertain; an alternative course of action may be better for some patients). High Quality of Evidence (high confidence that we know true effects of intervention). Morrison LJ, Verbeek PR, McDonald AC, Sawadsky BV, Cook DJ. Mortality and prehospital thrombolysis for acute myocardial infarction: A meta-analysis. JAMA. 2000 May 24-31;283(20):2686-92. PubMed PMID: 10819952. 4. Prehospital ticagrelor may reduce the risk of stent thrombosis after primary PCI.Evidence 4Weak recommendation (benefits likely outweigh downsides, but the balance is close or uncertain; an alternative course of action may be better for some patients). High Quality of Evidence (high confidence that we know true effects of intervention). Montalescot G, van 't Hof AW, Lapostolle F, et al; ATLANTIC Investigators. Prehospital ticagrelor in ST-segment elevation myocardial infarction. N Engl J Med. 2014 Sep 11;371(11):1016-27. doi: 10.1056/NEJMoa1407024. Epub 2014 Sep 1. PubMed PMID: 25175921. Patients should be treated at a coronary care unit or an equivalent monitored unit for ≥24 hours. Then patients may be moved to a step-down monitored bed for subsequent 24 to 48 hours. Patients may be transferred to a regular ward only after 12 to 24 hours of clinical stability, that is, no signs or symptoms of myocardial ischemia, heart failure, or arrhythmias with hemodynamic consequences. 1. Oxygen should be administered to every patient with hypoxia and monitored using pulse oximetry. 2. Nitrates: Sublingual nitroglycerin (0.4 mg every 5 minutes as long as the pain persists and as long as no significant adverse effects develop, up to a total of 3 doses), subsequently continued via intravenous route (dosage as in non–ST-segment elevation MI) in patients with persistent symptoms of myocardial ischemia (particularly pain), heart failure, significantly elevated blood pressures (do not use routinely in the early phase of STEMI). Contraindications to the use of nitrates in patients with STEMI: systolic blood pressure (SBP) <90 mm Hg, tachycardia >100 beats/min (in patients without heart failure), suspected right ventricular MI, administration of a phosphodiesterase inhibitor within the prior 24 hours (for sildenafil or vardenafil) or 48 hours (for tadalafil).Evidence 5Weak recommendation (downsides likely outweigh benefits, but the balance is close or uncertain; an alternative course of action may be better for some patients). Low Quality of Evidence (low confidence that we know true effects of the intervention). Quality of Evidence lowered due to the observational nature of data and indirectness of the population and outcomes measured. Kloner RA, Hutter AM, Emmick JT, Mitchell MI, Denne J, Jackson G. Time course of the interaction between tadalafil and nitrates. J Am Coll Cardiol. 2003 Nov 19;42(10):1855-60. PubMed PMID: 14642699. 3. Morphine is the analgesic of choice in STEMI. Administer 4 to 8 mg IV with subsequent injections of 2 mg every 5 to 15 minutes until the resolution of pain (in some patients, the total dose required to control the pain is as high as 2 mg/kg and is well tolerated). Adverse effects: nausea and vomiting, hypotension with bradycardia, and respiratory depression. There is recent evidence that morphine may reduce absorption and effects of oral P2Y12 inhibitors. 1) Prasugrel or ticagrelor (rather than clopidogrel) in patients undergoing primary PCI;Evidence 6Strong recommendation (benefits clearly outweigh downsides; right action for all or almost all patients). High Quality of Evidence (high confidence that we know true effects of intervention). Wallentin L, Becker RC, Budaj A, et al; PLATO Investigators, Freij A, Thorsén M. Ticagrelor versus clopidogrel in patients with acute coronary syndromes. N Engl J Med. 2009 Sep 10;361(11):1045-57. doi: 10.1056/NEJMoa0904327. Epub 2009 Aug 30. PubMed PMID: 19717846. Wiviott SD, Braunwald E, McCabe CH, et al; TRITON-TIMI 38 Investigators. Prasugrel versus clopidogrel in patients with acute coronary syndromes. N Engl J Med. 2007 Nov 15;357(20):2001-15. Epub 2007 Nov 4. PubMed PMID: 17982182. for ticagrelor, use a loading dose of 180 mg and then 90 mg bid, and for prasugrel, use a loading dose of 60 mg and then 10 mg daily. Prasugrel should not be used in patients with a history of stroke or transient ischemic attack (TIA).Evidence 7Strong recommendation (downsides clearly outweigh benefits; right action for all or almost all patients). High Quality of Evidence (high confidence that we know true effects of intervention). Wiviott SD, Braunwald E, McCabe CH, et al; TRITON-TIMI 38 Investigators. Prasugrel versus clopidogrel in patients with acute coronary syndromes. N Engl J Med. 2007 Nov 15;357(20):2001-15. Epub 2007 Nov 4. PubMed PMID: 17982182. 2) Clopidogrel in patients undergoing primary PCI (if prasugrel and ticagrelor are not available) or if at higher bleeding risk. In patients treated with fibrinolysis, for clopidogrel use a loading dose of 300 mg in patients aged ≤75 years and 75 mg for those aged >75 years.Evidence 8Strong recommendation (benefits clearly outweigh downsides; right action for all or almost all patients). High Quality of Evidence (high confidence that we know true effects of intervention). Sabatine MS, Cannon CP, Gibson CM, et al; CLARITY-TIMI 28 Investigators. Addition of clopidogrel to aspirin and fibrinolytic therapy for myocardial infarction with ST-segment elevation. N Engl J Med. 2005 Mar 24;352(12):1179-89. Epub 2005 Mar 9. PubMed PMID: 15758000. 5. Beta-blockers should be used in patients without contraindications, such as bradycardia, Killip class II or greater heart failure, or active bronchospasm.Evidence 9Strong recommendation (benefits clearly outweigh downsides; right action for all or almost all patients). High Quality of Evidence (high confidence that we know true effects of intervention). Ibanez B, Macaya C, Sánchez-Brunete V, et al. Effect of early metoprolol on infarct size in ST-segment-elevation myocardial infarction patients undergoing primary percutaneous coronary intervention: the Effect of Metoprolol in Cardioprotection During an Acute Myocardial Infarction (METOCARD-CNIC) trial. Circulation. 2013 Oct 1;128(14):1495-503. doi: 10.1161/CIRCULATIONAHA.113.003653. Epub 2013 Sep 3. PubMed PMID: 24002794. Bangalore S, Makani H, Radford M, et al. Clinical outcomes with β-blockers for myocardial infarction: a meta-analysis of randomized trials. Am J Med. 2014 Oct;127(10):939-53. doi: 10.1016/j.amjmed.2014.05.032. Epub 2014 Jun 11. PubMed PMID: 24927909. In patients in whom beta-blockers are contraindicated and in whom suppression of heart rate is necessary because of atrial fibrillation (AF), atrial flutter, or persistent myocardial ischemia, a calcium channel blocker (diltiazem and verapamil) may be used unless LV systolic dysfunction or atrioventricular (AV) block is present (calcium channel blockers should not be used routinely in patients with STEMI). Patients with baseline contraindications to beta-blockers should be monitored for possible resolution of the contraindications in the course of hospital treatment, as this may allow the start of long-term beta-blocker treatment. Dosage of oral agents, contraindications, and adverse effects: see Stable Angina Pectoris. 6. Anticoagulants: The choice and dosage depend on the treatment method of STEMI: PCI, coronary artery bypass graft (CABG), fibrinolysis, or no reperfusion treatment (see below). 7. Angiotensin-converting enzyme inhibitors (ACEIs): Start as early as day 1 of MI unless contraindicated, particularly in patients with left ventricular ejection fraction (LVEF) ≤40% or symptoms of heart failure in the early phase of STEMI.Evidence 10Strong recommendation (benefits clearly outweigh downsides; right action for all or almost all patients). High Quality of Evidence (high confidence that we know true effects of intervention). Rodrigues EJ, Eisenberg MJ, Pilote L. Effects of early and late administration of angiotensin-converting enzyme inhibitors on mortality after myocardial infarction. Am J Med. 2003 Oct 15;115(6):473-9. PubMed PMID: 14563504. Start with low doses and then titrate up, depending on the tolerance. In the case of ACEI intolerance (cough), switch to an angiotensin-receptor blocker (ARB). Formulations of ACEIs/ARBs: Table 5 in Essential Hypertension; dosage: Table 4 in Stable Angina Pectoris. 8. Statins: Use in every patient regardless of plasma cholesterol levels, unless contraindicated, preferably within 1 to 4 days of admission. The target low-density lipoprotein cholesterol (LDL-C) levels are <1.8 mmol/L (70 mg/dL). 1) All patients with an indication for reperfusion therapy: chest pain or discomfort lasting <12 hours and persistent ST-segment elevation. 2) Patients with shock or contraindications to thrombolytic therapy, regardless of the time since the onset of MI (Table 3). 3) Evidence of ongoing myocardial ischemia even if symptoms of MI appeared >12 hours earlier or if the pain and ECG changes have been stuttering.Evidence 13Strong recommendation (benefits clearly outweigh downsides; right action for all or almost all patients). Moderate Quality of Evidence (moderate confidence that we know true effects of intervention). Quality of Evidence lowered due to heterogeneity of the studied populations. Abbate A, Biondi-Zoccai GG, Appleton DL, et al. Survival and cardiac remodeling benefits in patients undergoing late percutaneous coronary intervention of the infarct-related artery: evidence from a meta-analysis of randomized controlled trials. J Am Coll Cardiol. 2008 Mar 4;51(9):956-64. doi: 10.1016/j.jacc.2007.11.062. Epub 2008 Feb 6. PubMed PMID: 18308165. 2. Rescue PCI is indicated after failed fibrinolysis, that is, when clinical symptoms and ST-segment elevations have not resolved (<50% reduction in the ST-segment elevation) within 60 to 90 minutes of the initiation of fibrinolysis; PCI should be considered as soon as possible. 3. A pharmacoinvasive approach should be used in patients without contraindications, with coronary angiography and/or PCI performed within 3 to 24 hours of successful fibrinolysis.Evidence 14Strong recommendation (benefits clearly outweigh downsides; right action for all or almost all patients). High Quality of Evidence (high confidence that we know true effects of intervention). Cantor WJ, Fitchett D, Borgundvaag B, et al; TRANSFER-AMI Trial Investigators. Routine early angioplasty after fibrinolysis for acute myocardial infarction. N Engl J Med. 2009 Jun 25;360(26):2705-18. doi: 10.1056/NEJMoa0808276. PubMed PMID: 19553646. 1) Coronary anatomy best treated with CABG and Thrombolysis in Myocardial Infarction (TIMI)-3 flow of the infarct vessel. 2) Cardiogenic shock in a patient with left main or multivessel CAD. 3) Mechanical complications of MI. 5. Anticoagulant therapy in patients treated with primary PCI: There are alternatives and, at the discretion of the person performing the procedure, the choice and combination of which to use depends on the perceived bleeding vs thrombotic risk and concomitant use of glycoprotein IIa/IIIb receptor antagonists.Evidence 15Weak recommendation (benefits likely outweigh downsides, but the balance is close or uncertain; an alternative course of action may be better for some patients). Moderate Quality of Evidence (moderate confidence that we know true effects of intervention). Quality of Evidence lowered due to indirectness of applying results to individual patients, as the balance of risks of competing outcomes is difficult to establish. Cavender MA, Sabatine MS. Bivalirudin versus heparin in patients planned for percutaneous coronary intervention: a meta-analysis of randomised controlled trials. Lancet. 2014 Aug 16;384(9943):599-606. doi: 10.1016/S0140-6736(14)61216-2. PubMed PMID: 25131979. Shahzad A, Kemp I, Mars C, et al; HEAT-PPCI trial investigators. Unfractionated heparin versus bivalirudin in primary percutaneous coronary intervention (HEAT-PPCI): an open-label, single centre, randomised controlled trial. Lancet. 2014 Nov 22;384(9957):1849-58. doi: 10.1016/S0140-6736(14)60924-7. Epub 2014 Jul 4. Erratum in: Lancet. 2014 Nov 22;384(9957):1848. PubMed PMID: 25002178. Stone GW, Witzenbichler B, Guagliumi G, et al; HORIZONS-AMI Trial Investigators. Bivalirudin during primary PCI in acute myocardial infarction. N Engl J Med. 2008 May 22;358(21):2218-30. doi: 10.1056/NEJMoa0708191. PubMed PMID: 18499566. 1) Unfractionated heparin (UFH) in an IV injection at a standard dose of 70 to 100 U/kg (or 50-60 U/kg in patients treated with glycoprotein IIb/IIIa receptor antagonists). 2) Bivalirudin in an IV injection 0.75 mg/kg, followed by an IV infusion 1.75 mg/kg/h (regardless of the activated clotting time [ACT]) for the duration of the procedure. 3) Enoxaparin in an IV injection 0.5 mg/kg. Do not use fondaparinux during primary PCI. 1. 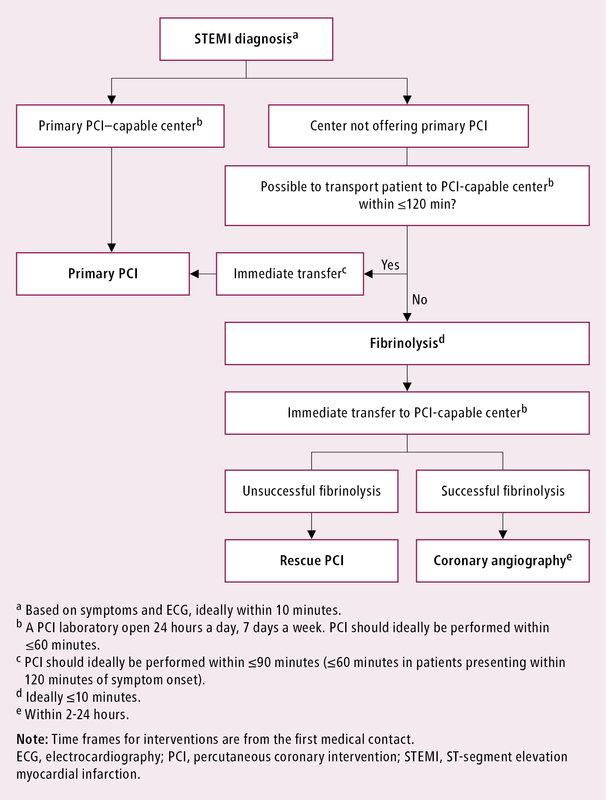 Indications: Patients in whom primary PCI cannot be performed within the recommended timeframe (time from first medical contact to PCI >120 minutes). 3. Fibrinolytic agents and concomitant anticoagulants: Table 4. Fibrinolytic agents should be started within 30 minutes of the arrival of the emergency medical services or of the moment the patient arrived at the hospital. Fibrin-specific agents (alteplase, tenecteplase) are preferred; never administer streptokinase to a patient who has been previously treated with streptokinase or anistreplase. Patients who receive fibrin-specific agents should be treated with fondaparinux,Evidence 16Strong recommendation (benefits clearly outweigh downsides; right action for all or almost all patients). High Quality of Evidence (high confidence that we know true effects of intervention). Yusuf S, Mehta SR, Chrolavicius S, et al; OASIS-6 Trial Group. Effects of fondaparinux on mortality and reinfarction in patients with acute ST-segment elevation myocardial infarction: the OASIS-6 randomized trial. JAMA. 2006 Apr 5;295(13):1519-30. Epub 2006 Mar 14. PubMed PMID: 16537725. concomitant UFH, or low-molecular-weight heparin (LMWH).Evidence 17Strong recommendation (benefits clearly outweigh downsides; right action for all or almost all patients). High Quality of Evidence (high confidence that we know true effects of intervention). Eikelboom JW, Quinlan DJ, Mehta SR, Turpie AG, Menown IB, Yusuf S. Unfractionated and low-molecular-weight heparin as adjuncts to thrombolysis in aspirin-treated patients with ST-elevation acute myocardial infarction: a meta-analysis of the randomized trials. Circulation. 2005 Dec 20;112(25):3855-67. Epub 2005 Dec 12. PubMed PMID: 16344381. Patients receiving streptokinase should not receive UFHEvidence 18Strong recommendation (downsides clearly outweigh benefits; right action for all or almost all patients). High Quality of Evidence (high confidence that we know true effects of intervention). Eikelboom JW, Quinlan DJ, Mehta SR, Turpie AG, Menown IB, Yusuf S. Unfractionated and low-molecular-weight heparin as adjuncts to thrombolysis in aspirin-treated patients with ST-elevation acute myocardial infarction: a meta-analysis of the randomized trials. Circulation. 2005 Dec 20;112(25):3855-67. Epub 2005 Dec 12. PubMed PMID: 16344381. and should be treated with fondaparinux. Fondaparinux is associated with reduced bleeding compared to enoxaparin. Every patient should also receive antiplatelet therapy: ASA and clopidogrel (see above). 4. Complications of fibrinolysis most frequently include bleeding; in the case of streptokinase, allergic reactions may also develop. If you suspect intracranial bleeding, discontinue all fibrinolytic, anticoagulant, and antiplatelet agents immediately. Then perform imaging studies (eg, computed tomography [CT] or magnetic resonance imaging [MRI] of the head) and laboratory tests (hematocrit, hemoglobin, prothrombin time [PT], activated partial thromboplastin time [aPTT], platelet count, fibrinogen and D-dimer levels; repeat these studies as needed) and request an urgent neurosurgical consultation. Give 2 U of fresh frozen plasma every 6 hours for 24 hours, plus platelet concentrate when necessary, as well as protamine in patients who have received UFH (dosage: see Heparins). 1) Lack of reperfusion (<50% resolution of ST-segment elevation at 60-90 minutes), then emergency rescue PCI.Evidence 19Strong recommendation (benefits clearly outweigh downsides; right action for all or almost all patients). Moderate Quality of Evidence (moderate confidence that we know true effects of intervention). Quality of Evidence lowered due to the relatively small number of events. Gershlick AH, Stephens-Lloyd A, Hughes S, et al; REACT Trial Investigators. Rescue angioplasty after failed thrombolytic therapy for acute myocardial infarction. N Engl J Med. 2005 Dec 29;353(26):2758-68. PubMed PMID: 16382062. 2) Within 3 to 24 hours of the beginning of successful fibrinolysis (as evidenced by ST-segment resolution by >50% at 60-90 minutes, typical reperfusion arrhythmia, or disappearance of chest pain) in high-risk patients (anterior MI or high-risk inferior MI).Evidence 20Strong recommendation (benefits clearly outweigh downsides; right action for all or almost all patients). High Quality of Evidence (high confidence that we know true effects of intervention). Cantor WJ, Fitchett D, Borgundvaag B, et al; TRANSFER-AMI Trial Investigators. Routine early angioplasty after fibrinolysis for acute myocardial infarction. N Engl J Med. 2009 Jun 25;360(26):2705-18. doi: 10.1056/NEJMoa0808276. PubMed PMID: 19553646. 3) In patients with low-risk STEMI (inferior MI without high-risk features), consider coronary angiography. 1. In addition to the drugs indicated in all patients with STEMI (see above), including the antiplatelet agents (ASA and clopidogrel), administer an anticoagulant—fondaparinux, and if fondaparinux is not available, enoxaparin or UFH (dosage: Table 4). 2. Coronary angiography should be performed immediately in hemodynamically unstable patients. In stable patients, it may be considered before discharge. In patients treated with fondaparinux in whom PCI is performed, use IV UFH in a bolus of 85 U/kg. 1. Acute heart failure due to extensive myocardial necrosis and ischemia, arrhythmias/conduction disturbances, or mechanical complications of MI. Symptoms and treatment: see Acute Heart Failure. 1) In patients with recurrent ST-segment elevation, perform emergency coronary angiography. 2) In patients with recurrent chest pain after reperfusion therapy, intensify medical treatment with nitrates and beta-blockers. Administer heparin (unless already started earlier). 3) Patients with symptoms of hemodynamic instability should be urgently referred for cardiac catheterization. 3. Free wall rupture usually develops within 5 days of anterior wall MI; it rarely occurs in patients with LV hypertrophy or well-developed collateral circulation. Symptoms of acute rupture include cardiac tamponade and cardiac arrest, usually with fatal outcome; symptoms of slowly progressing rupture: gradually developing cardiac tamponade and symptoms of shock. The diagnosis is based on echocardiography. Treatment: urgent surgical intervention. 4. Ventricular septal rupture (VSR) usually develops on days 3 to 5 of MI. Symptoms: a new-onset holosystolic murmur heard along the left sternal border (it may be poorly audible in patients with large ruptures) and rapidly worsening symptoms of left and right ventricular failure. The diagnosis is based on echocardiography. Treatment: management of shock, including intra-aortic balloon counterpulsation and invasive hemodynamic monitoring; surgery must be performed as soon as possible (this usually involves resection of the necrotic tissues and closing the defect with a prosthetic patch). 5. Papillary muscle rupture develops on days 2 to 10 of MI; it is most frequently associated with inferior wall MI and affects the posterior LV papillary muscle, causing acute mitral regurgitation. Symptoms: acute heart failure; a typical loud holosystolic apical murmur that may have widespread radiation; in many patients, the absence of murmur or only a soft murmur. The diagnosis is based on clinical features confirmed by echocardiography. Treatment: surgery, usually mitral valve replacement. Mitral regurgitation may also occur as a result of dilation of the mitral annulus and ischemic dysfunction of the subvalvular apparatus without mechanical damage; in such cases, PCI may be the treatment of choice. 6. Arrhythmias and conduction disturbances: In addition to specific treatment (see below), correct electrolyte disturbances (target potassium levels >4.0 mmol/L and magnesium levels >0.8 mmol/L) and acid-base disturbances, if present. 1) Ventricular premature beats (VPBs) are very common on day 1 of MI; they generally do not require antiarrhythmic treatment unless they cause hemodynamic deterioration. A routine prophylactic use of antiarrhythmic drugs (eg, lidocaine) is not recommended. 2) Accelerated idioventricular rhythm (AIVR) (<120 beats/min) is relatively common on day 1 of MI; it usually does not require the administration of antiarrhythmic drugs. AIVR is not associated with an increased risk of ventricular fibrillation. It may be a sign of successful reperfusion. 3) Nonsustained ventricular tachycardia (VT) does not usually have hemodynamic consequences and does not require specific treatment. In the later phases of MI, particularly in patients with reduced LVEF, it may indicate an increased risk of cardiac arrest and may require pharmacologic treatment and diagnostic workup as in sustained ventricular tachycardia. a) Polymorphic VT: Prompt defibrillation (as in ventricular fibrillation [VF]). In the event of bradycardia or QT prolongation, temporary pacing. b) Monomorphic VT: Cardioversion (see Electric Cardioversion). In patients who tolerate VT well (SBP >90 mm Hg, no angina or pulmonary edema), pharmacotherapy with intravenous beta-blockers (drugs of choice) may be attempted before cardioversion, but such treatment rarely leads to the resolution of tachycardia. Alternatives include amiodarone 150 mg (or 5 mg/kg) in an IV infusion over 10 minutes, and repeat every 10 to 15 minutes when necessary (alternatively, 360 mg over 6 hours [1 mg/min], followed by 540 mg over the subsequent 18 hours [0.5 mg/min]; total dose ≤1.2 g/d); lidocaine 1 mg/kg in an IV injection, followed by 0.5 mg/kg every 8 to 10 minutes, up to a maximum of 4 mg/kg; alternatively, 1 to 3 mg/min in an IV infusion. 5) VF: See Defibrillation. Primary VF (within 4 hours of hospitalization) is not associated with a poorer long-term prognosis in patients surviving the hospital phase of MI. In patients with sustained VT or VF occurring after the first 48 hours of hospitalization, consider a consultation with an electrophysiologist regarding an implantable defibrillator (ICD) (indications for ICD implantation after MI: see Ventricular Arrhythmia Following Myocardial Infarction). 6) AF is more frequent in the elderly, in patients with anterior MI, extensive myocardial necrosis, heart failure, other arrhythmias, and conduction disturbances or post-MI pericarditis. It is an adverse prognostic factor. a) Persistent AF causing hemodynamic consequences or symptoms of myocardial ischemia: Cardioversion. If cardioversion is ineffective, use antiarrhythmic agents controlling ventricular rate (IV amiodarone or IV digoxin in patients with heart failure). b) Persistent AF with no hemodynamic consequences or symptoms of myocardial ischemia: Antiarrhythmic agents controlling ventricular rate. Consider the indications for anticoagulant therapy. a) Symptomatic sinus bradycardia, sinus pauses >3 seconds, or sinus bradycardia <40 beats/min with hypotension and symptoms of hemodynamic impairment: IV atropine 0.5 to 1 mg (up to a maximum dose of 2 mg). In patients with persistent disturbances, temporary cardiac pacing. b) First-degree AV block (see Atrial Fibrillation): No treatment. c) Second-degree AV block (Wenckebach type) with hemodynamic disturbances: Atropine; if ineffective, temporal cardiac pacing. d) Mobitz type II second-degree AV block or third-degree AV block: Temporary cardiac pacing is usually indicated; it may be avoided in patients with ventricular rates >50 beats/min, narrow QRS complexes, and no signs of hemodynamic instability. Usually, heart block is transient after MI and typically does not require permanent pacing. Indications for permanent cardiac pacing: see Atrioventricular Blocks. 7. Stroke usually occurs after 48 hours of hospitalization. Predisposing factors include a prior stroke or TIA, CABG, advanced age, low LVEF, AF, and hypertension. If the stroke is caused by emboli originating from the heart (AF, intracardiac thrombi, akinetic LV segments), start a vitamin K antagonist (VKA) combined with heparin to achieve a target international normalized ratio (INR) of 2.0 to 3.0 (principles of treatment: see Vitamin K Antagonists). A neurologist should be involved in the decision of when to start heparin due to the risk of hemorrhagic conversion. Patients with STEMI should be referred to an outpatient cardiac rehabilitation program where feasible. This may include an exercise program, dietary advice, and smoking cessation programs. Mortality of patients with uncomplicated STEMI who have undergone primary PCI is between 2% and 5%. The TIMI risk score (Table 5) or the Zwolle risk score (Table 7, Figure 3) can be used to determine the risk and timing of discharge. In low-risk patients (a Zwolle risk score ≤3), early discharge at 48 to 36 hours is feasible (see Figure 3 in Circulation. 2004 Jun 8;109(22):2737-43). The probability of 30-day and 1-year mortality ranges from about 2% and 4%, respectively, for Zwolle scores 0 to 3; 4% and 7% for scores 4 to 6; 10% and 20% for scores 7 to 9; and 30% and 40% for a score >10 (Figure 3). For the purpose of assessing the prognosis, TIMI flow 0 means no perfusion, TIMI 1 means only faint flow with incomplete filling of the distal arteries, TIMI 2 means complete filling but with sluggish flow, and TIMI 3 means normal flow. For Killip class, Killip class IV means cardiogenic shock, Killip class III means acute pulmonary edema, Killip class II means signs of heart failure, and Killip class I stands for no heart failure. In patients not treated with coronary revascularization procedures, the risk of death or MI should be assessed in the context of indications for coronary angiography and subsequent invasive treatment. 1. Prior to discharge, assess the risk of death or recurrent MI. As indicated above, one of the tools for early risk assessment is the TIMI STEMI score (Table 5; www.mdcalc.com/timi-risk-score-for-stemi). 1) Symptoms of myocardial ischemia that develop spontaneously or with minimal effort in the post-MI recovery period, or persistent hemodynamic instability. 2) Before radical treatment of mechanical complications of STEMI in patients with acceptable hemodynamic stability. 1) Within 2 to 3 days of the onset of STEMI in patients who did not undergo successful reperfusion therapy. 2) In patients with unstable post-MI angina, symptomatic heart failure, or life-threatening arrhythmias. 4. Do not perform coronary angiography in patients who are not candidates for revascularization because of specific contraindications or lack of consent. Long-term follow-up as in patients with stable angina (see Stable Angina Pectoris). 1. Control of risk factors of atherosclerosis (see Prevention of Cardiovascular Diseases). 2. Regular exercise: ≥30 minutes of moderate aerobic exercise (the intensity is determined on the basis of the stress test) ≥5 times a week or supervised rehabilitation programs in high-risk patients. 3. Pharmacotherapy (specific indications: Table 6): Antiplatelet agents (ASA and/or clopidogrel, prasugrel, or ticagrelor), beta-blockers, ACEIs (or ARBs), aldosterone antagonists, statins. 4. Anticoagulant treatment is recommended after coronary stenting in patients with atrial fibrillation and a moderate to high risk of thromboembolic complications. Treatment with VKAs is indicated ([Table 2.6-8 in Atrial Fibrillation]). In 50%-70% of cases of inferior wall ST-segment elevation myocardial infarction, so-called mirror ST-segment depressions are found in the anterior or lateral leads; this is also true for 40%-60% of anterior wall MIs with mirror elevation in the inferior leads. This finding is associated with more extensive infarction and a worse prognosis. ST-segment depression in anterior leads may also represent posterior MI. ECG, electrocardiography; LV, left ventricle; MI, myocardial infarction. Source: Wright RS, Anderson JL, Adams CD, et al; American College of Cardiology Foundation/American Heart Association Task Force on Practice Guidelines. 2011 ACCF/AHA focused update incorporated into the ACC/AHA 2007 Guidelines for the Management of Patients with Unstable Angina/Non-ST-Elevation Myocardial Infarction: a report of the American College of Cardiology Foundation/American Heart Association Task Force on Practice Guidelines developed in collaboration with the American Academy of Family Physicians, Society for Cardiovascular Angiography and Interventions, and the Society of Thoracic Surgeons. J Am Coll Cardiol. 2011 May 10;57(19):e215-367. ACS, acute coronary syndrome; CAD, coronary artery disease; CK-MB, creatine kinase MB subunit; ECG, electrocardiogram; MI, myocardial infarction; MR, mitral regurgitation; TnI, troponin I; TnT, troponin T.
a Administer until discharge but no longer than for 8 days. In patients with severe renal failure (creatinine clearance <20 mL/min), use unfractionated heparin rather than other anticoagulants. aPTT, activated partial thromboplastin time; IV, intravenous administration; sc, subcutaneous administration; SK, streptokinase; STEMI, ST-segment elevation myocardial infarction; TNK tPA, tenecteplase; tPA, alteplase; UFH, unfractionated heparin. Original data and tool can be found in: Morrow DA, Antman EM, Charlesworth A, et al. 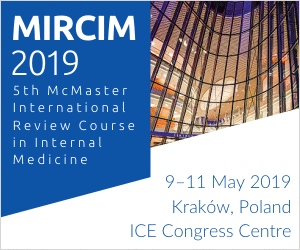 TIMI risk score for ST-elevation myocardial infarction: A convenient, bedside, clinical score for risk assessment at presentation: An intravenous nPA for treatment of infarcting myocardium early II trial substudy. Circulation. 2000 Oct 24;102(17):2031-7. STEMI, ST-segment elevation myocardial infarction; TIMI, thrombolysis in myocardial infarction. Based on the European Society of Cardiology 2011 (NSTEMI/UA) and 2012 (STEMI) guidelines. See Additional Information for details. ACEI, angiotensin-converting enzyme inhibitor; ACS, acute coronary syndrome; ARB, angiotensin-receptor blocker; ASA, acetylsalicylic acid; bid, 2 times a day; LDL-C, low-density lipoprotein cholesterol; LV, left ventricle; LVEF, left ventricular ejection fraction; MI, myocardial infarction; NSTEMI, non–ST-segment elevation myocardial infarction; STEMI, ST-segment elevation myocardial infarction; UA, unstable angina. Based on: De Luca G, Suryapranata H, van't Hof AW, et al. Prognostic assessment of patients with acute myocardial infarction treated with primary angioplasty: implications for early discharge. Circulation. 2004 Jun 8;109(22):2737-43. Figure 1. Timing of release of biochemical markers following acute myocardial infarction (in the case of successful reperfusion, peak concentrations are higher and occur earlier). Adapted from Wu AH et al. National Academy of Clinical Biochemistry Standards of Laboratory Practice: recommendations for the use of cardiac markers in coronary artery diseases. Clin Chem. 1999 Jul;45(7):1104-21. Figure 2. Management algorithm for patients with acute myocardial infarction with ST-segment elevation presenting within 24 hours of the first medical contact. Adapted from the 2012 European Society of Cardiology guidelines (see Additional Information for details). Figure 3. 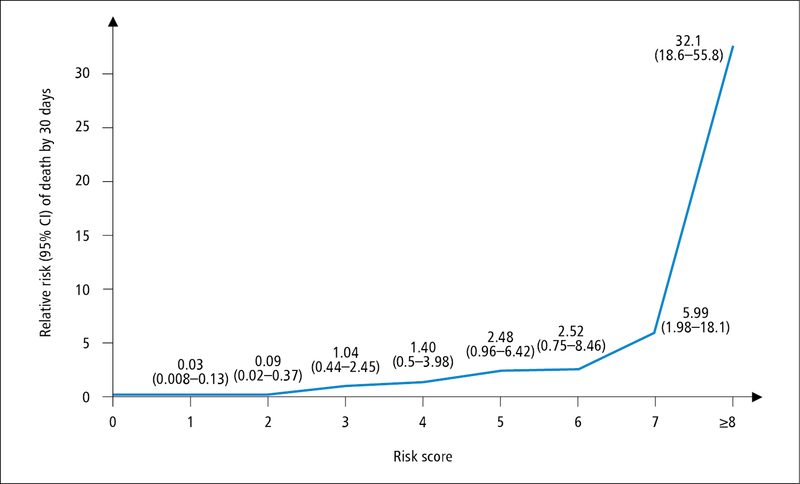 Zwolle risk score for ST-segment elevation myocardial infarction. Based on Luca G et al. Prognostic assessment of patients with acute myocardial infarction treated with primary angioplasty: implications for early discharge. Circulation. 2004 Jun 8;109(22):2737-43.